You’ll have to be quick if you want to score this deal. 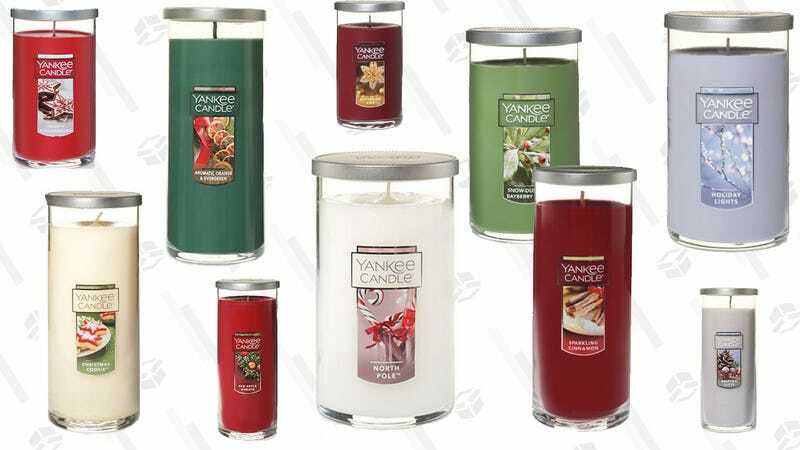 For the next 5 hours or so at Yankee Candle, when you buy one Pillar Candle, you’ll get two more for free. (Add them all to your cart to see the discount apply.) To really maximize your savings, you’ll want to buy enough to hit the $60 threshold for free shipping; nine candles may seem excessive, but it’s not like they have an expiration date. Right?